In this week’s UT project update Twitch stream, we finally get to see some of the assets that will be available to map makers. 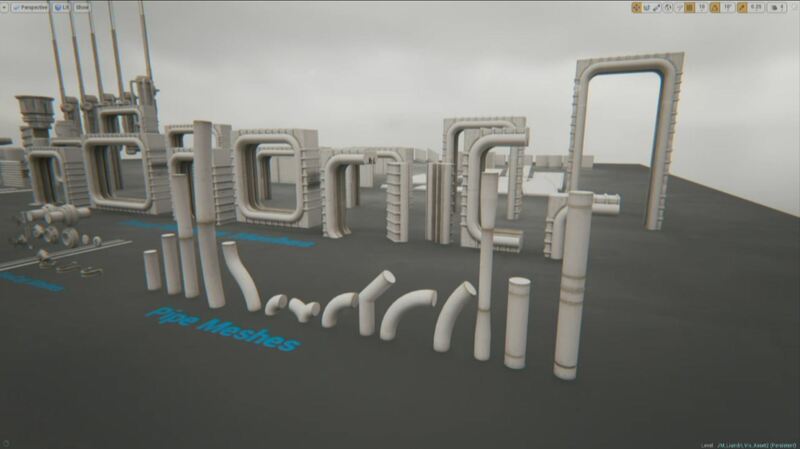 Epic’s Josh Marlow shows off a massive amount of meshes that he created for what looks to be a Liandri-type bucket of assets. It is quite amazing to see what can be done in UE4 with these assets. Changing color and other effects looks to be much more powerful than UE3. He even showed off a mesh that had bendable joints which opens up a whole new world for mappers.